When you go to the grocery store there are aisles of vitamins. How the heck are you supposed to determine which ones are best for you and which ones are a waste of money? In this article I will give you easy steps to determine the quality of a multivitamin. Yes, unless you eat a pristine diet of organic whole foods, you should be taking a HIGH QUALITY multivitamin. 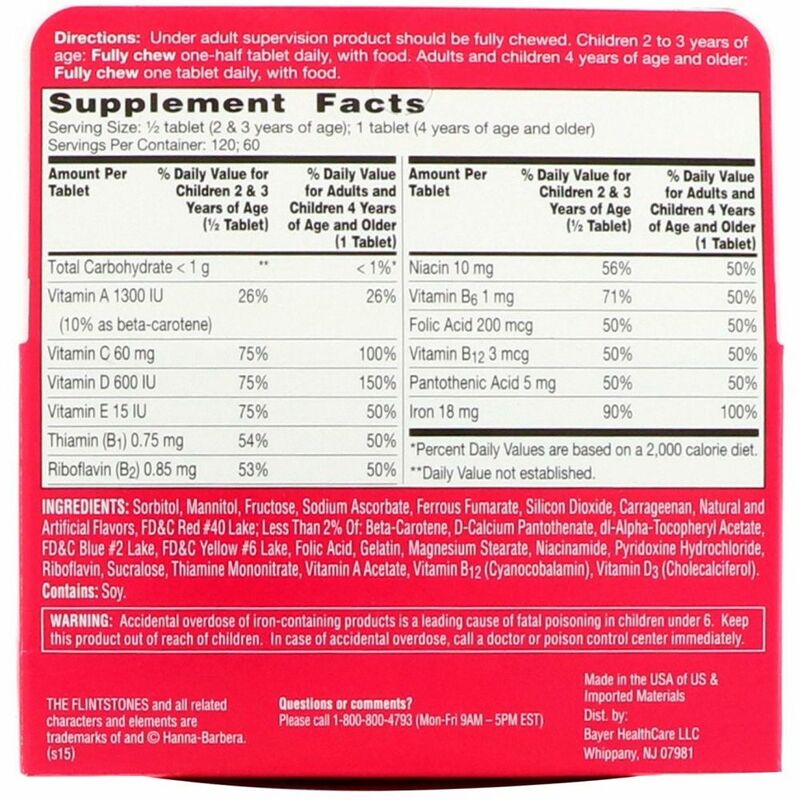 I emphasize high quality because most people do not realize that the cheap multivitamin on the shelf at Target can actually be quite detrimental for your health. Even if you do have a great diet you should consider taking a multivitamin. The Toxins and pesticides/pollutants we are exposed to has sky rocketed in the last 60 years. Our bodies use vitamins and minerals to support detoxification pathways and get rid of these toxins. Most Americans have poor diets and are exposed to countless toxins throughout the day whether it be from food, plastics, cookware, make-up, air pollution etc. By taking a multivitamin you keep your body stocked with the micronutrients needed to effectively get rid of these harmful toxins. Stress is another reason to take a multivitamin. Chronic high stress wreaks havoc on your body and depletes reserves of vitamins and minerals. 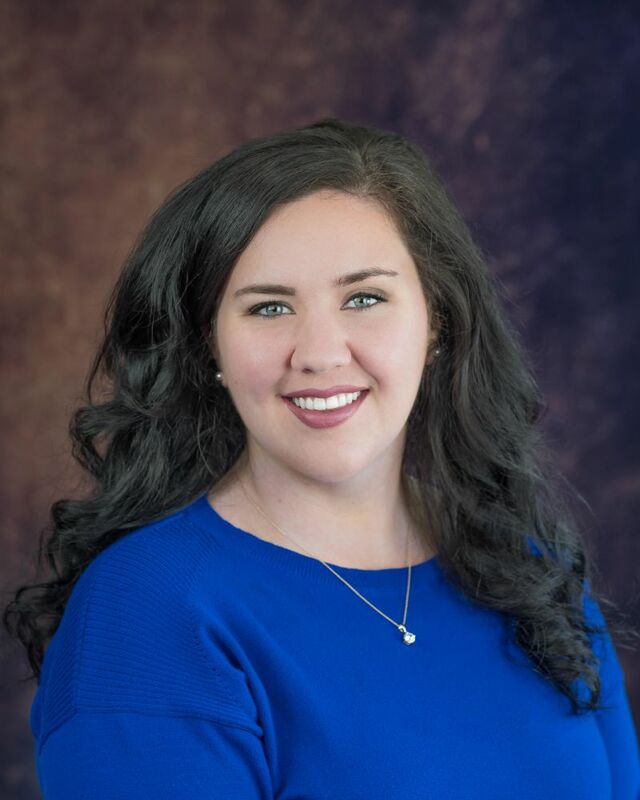 Other processes these micronutrients are needed for include immune function, energy production, neurotransmitter production, hormone production, and they are the key ingredients for many metabolic processes. I think the most important reasons to take a multivitamin everyday are constant stress and toxic load which apply to almost everyone. I do NOT want you guys falling for good branding stunts! 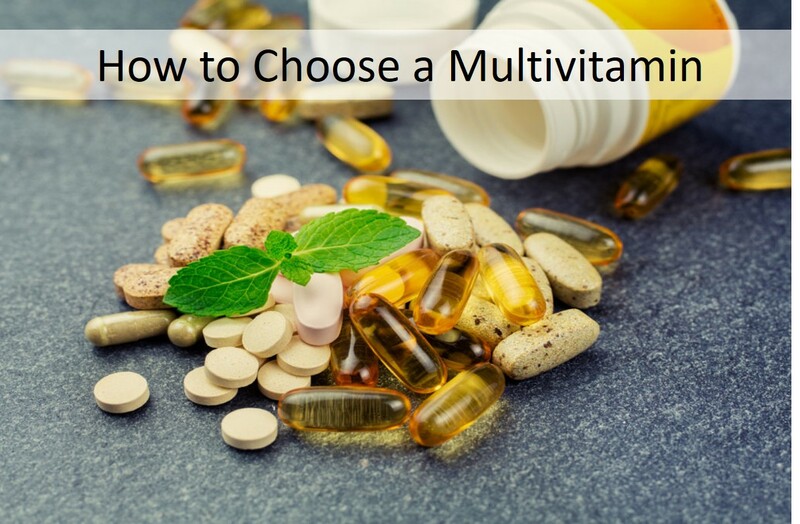 Here is a checklist for you to become experts at evaluating your own multivitamins. That way you can be sure they are helping you and not a waste of your money or bad for your health. First step, go to the back of the bottle and locate Vitamin E. Make sure to check the long list of ingredients because it might be hidden in there. The natural form of Vitamin E you want is D-alpha tocopherol and it can also be listed as d-alpha tocopheryl acetate, or d-alpha tocopheryl succinate. Vitamin E is a potent antioxidant and this is the natural form that is best absorbed and utilized by the body. 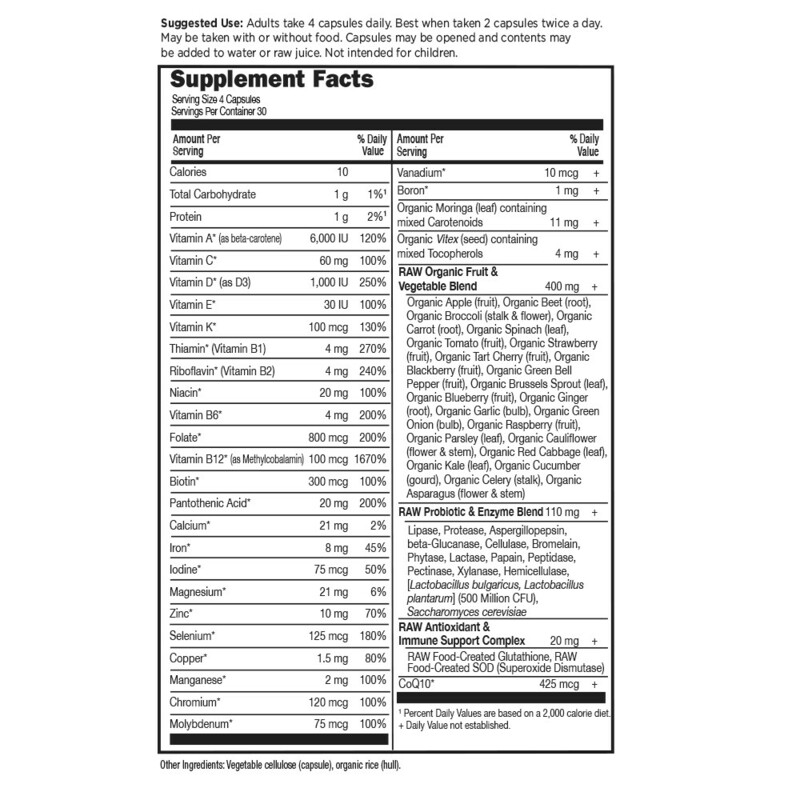 Many multivitamins will use the cheaper synthetic version DL-alpha tocopherol which is NOT absorbed well and the body actually makes a point to eliminate it. Studies have shown that when it is absorbed it is excreted from the body 3x faster than the natural form. We Don't Like= DL-alpha tocopherol. Here we need to determine if the minerals are high quality vs. low quality. High quality minerals are easily absorbed and utilized by the body. Calcium, Magnesium, and Zinc are the most important. They are used in many enzymatic and metabolic reactions in the body. Magnesium alone is used in over 300 enzymes! If you have a multivitamin with low quality minerals there is a high chance they are just going to end up in your toilet... Literally $$ down the toilet. What is Fairy Dust? It's what I call the Proprietary Blend of 100 herbals in a pinch of the multivitamin. It is usually a long ingredient list of every fruit or vegetable you can think of or a blend of botanicals. (A little apple dust, kiwi dust, kale dust etc.) 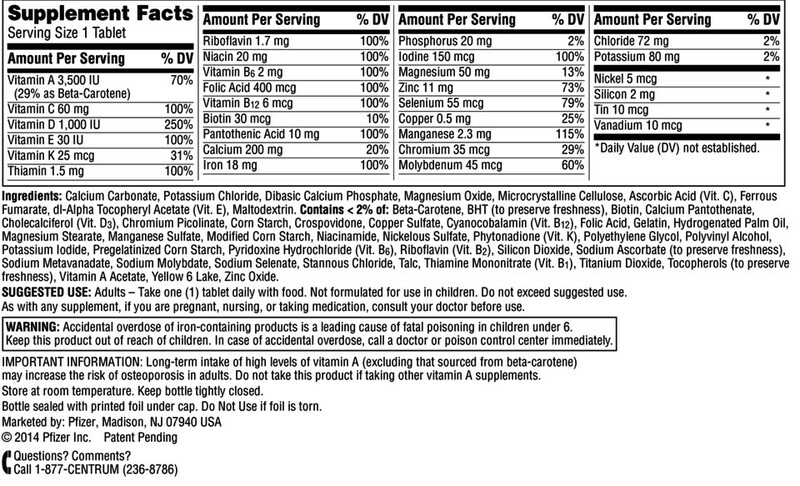 These ingredients are not going to hurt you they are just given in such an insignificant dose that they do not matter. They have no effect due to the super small dose. Yet brands love to use Fairy Dust as a selling point to trick people into buying their vitamin due to the long list of amazing ingredients on the back of the box. You guys are going to be too smart for that. NO FALLING FOR FAIRY DUST! You want to make sure your multivitamin is free of fillers, preservatives, chemicals, and food dyes. You take a multivitamin to replenish your body's micronutrients and get rid of toxins. You do not want to be taking a pill of chemicals/fillers every single day because that defeats the purpose. If you are taking a poor quality multivitamin it would be better to just save your money and not take one at all. Brands such as Centrum, One A Day, Nature's Made, etc. have harmful chemicals, fillers, color dyes, and preservatives along with cheap vitamins and minerals that the body can't even use. They are a COMPLETE waste of money and NOT good for your health. What Multivitamin Should I Get? 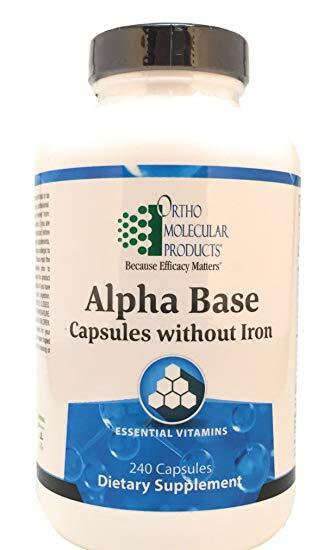 Here at Zimmer Chiropractic & Nutrition we recommend Alpha Base from OrthoMolecular Products which can be purchased in house or at our online store. Alpha Base only contains the highest quality ingredients with the most bioavailability, meaning highest absorption rates. It also provides a wide spectrum of antioxidant support. I recommend it to all of my patients. Other trusted brands include Thorne, Metagenics, Integrative Therapeutics, and Designs for Health to name a few. Harmful Ingredients= MANY! There are a bunch of chemicals, preservatives, and food dye! -Maltodextrin, BHT, Corn starch, Hydrogenated palm oil, Modified corn starch, Polyethylene glycol, Polyvinyl alcohol, Pregelatinezed corn starch, Silicon Dioxide, Sodium Metavanadate, Stannous Chloride, Talc, Titanium Dioxide, Yellow 6 Lake. Evaluation: OKAY. There is nothing here that is harmful or bad for you. You just can’t tell what forms of vitamins and minerals you are getting and they might not be the more absorbable forms. Fairy Dust: EVERYWHERE! See that paragraph of GREAT ingredients that makes it seem like you just ate a heap of fruits & veggies! Those are GREAT ingredients unfortunately it’s only 400mg of all of those ingredients combined so you are getting “Fairy Dust” of each ingredient. Might as well go lick a strawberry and it would be the same effect. Let me clarify Proprietary Blends of organic ingredients like this are not bad for you, it is just insignificant and should not be a selling point for you to buy the multivitamin. Evaluation: Just throw these in the garbage PLEASE!! Do NOT give these to your kids! Minerals: Does not supply any of the main minerals! Harmful Ingredients: Basically EVERYTHING on the ingredient list. Look at all of those food dyes! Mannitol, sorbitol, and fructose are the main ingredients which are just sugars! Not sweet enough though so let's add in sucralose (AKA: Splenda!). There is nothing healthy about a Flintstone Vitamin. I hope that this information gives you the confidence to conquer the vitamin aisle and makes it easier to choose a great multivitamin!